Two music hackathons in NYC next weekend …. 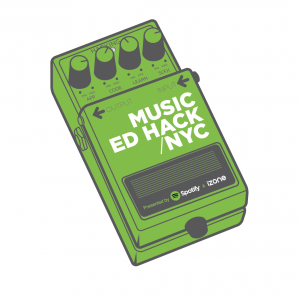 The goal of the Music Education Hack is to explore how technology and help transform music education in NYC schools. Hackers will have 24 hours to ideate, collaborate and innovate, before presenting their work to a panel of esteemed judges for a grand prize of $5,000. The Hacker teams will have access to New York City teachers as part of the creation process as they focus on building products that incorporate music and technology into the education space. For more info visit the Music Education Hack registration page. This entry was posted on June 19, 2013, 12:03 pm and is filed under events, hacking, Music. You can follow any responses to this entry through RSS 2.0. Both comments and pings are currently closed.